Italy is ready to embrace you. Immerse yourself in its beauty and allow it to change you. 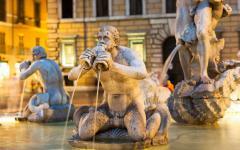 Soak up the sun at outdoor cafés and stroll through piazzas in Rome while sampling gelato. 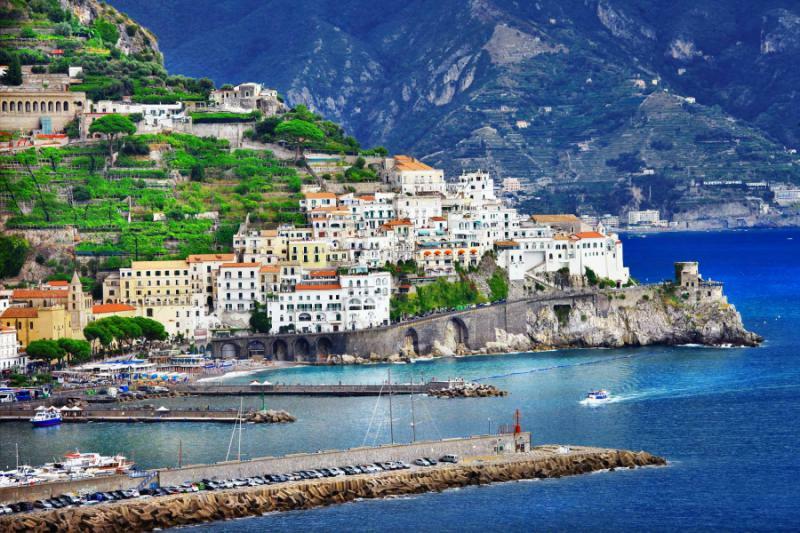 Admire the view as you wind around the dramatic Amalfi Coast. Dive into a cooking class taught at a traditional farmhouse kitchen. 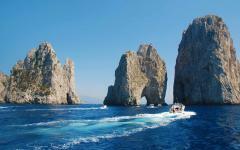 Sail away to the glamorous island of Capri and take a dip in the Mediterranean Sea. Sample fine wines at scenic vineyards amidst the rolling hills of Tuscany. 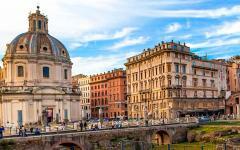 Discover the best of Italy on this unforgettable 12-day grand tour. You’ll visit some of the most beautiful places in the country. 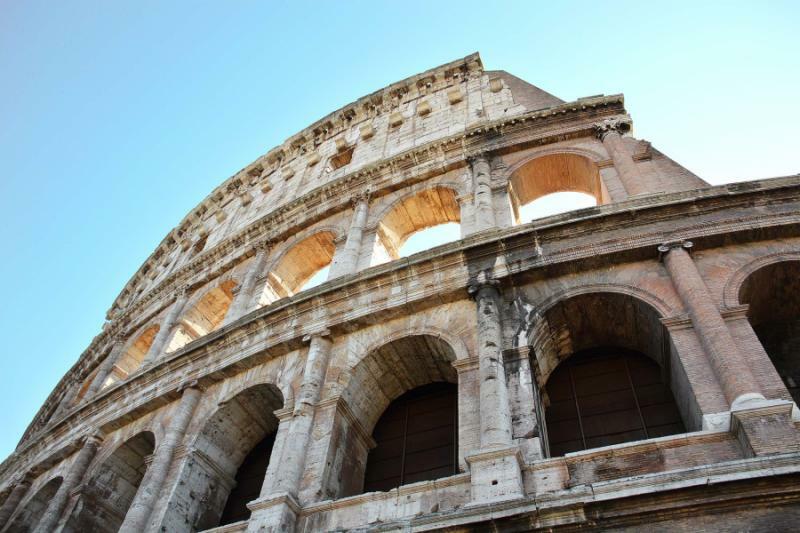 The tour begins in the eternal city of Rome, where you’ll see the building blocks of Western Civilization and learn the fascinating details of ancient history. 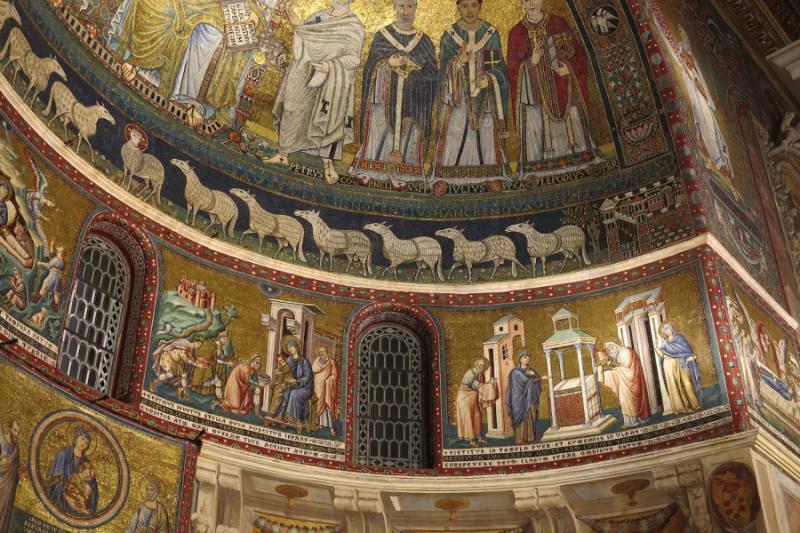 You’ll also visit the most important site in the Christian world, the Vatican City, which holds some of the finest art collections that you’ll find anywhere. 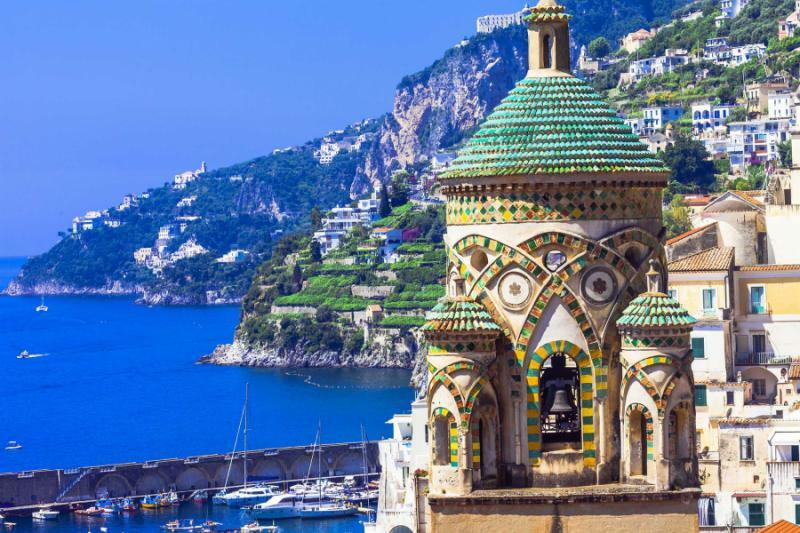 Next you’ll take an incredible scenic drive along the spectacular Amalfi Coast until you reach Positano. Clinging to mountains above the sea, Positano has a charm that is unique to this part of Italy. Whitewashed houses are covered with vibrant bougainvillea while the deep blue waters beckon in the distance. From this location, you’ll visit the chic island of Capri and take a cooking class at a kitchen with a view of Ravello. 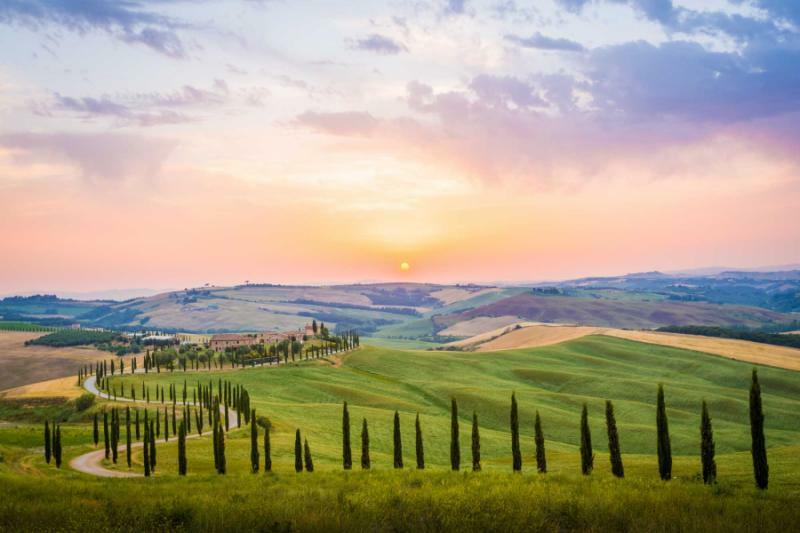 The tour includes the famous region of Tuscany, a lovely countryside with green rolling hills lined with iconic cypress trees. This unspoiled region has many well-preserved medieval hilltop towns as well as important historic cities. 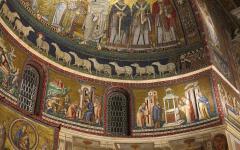 Siena is a UNESCO World Heritage Site with a rich history beginning in the Middle Ages. 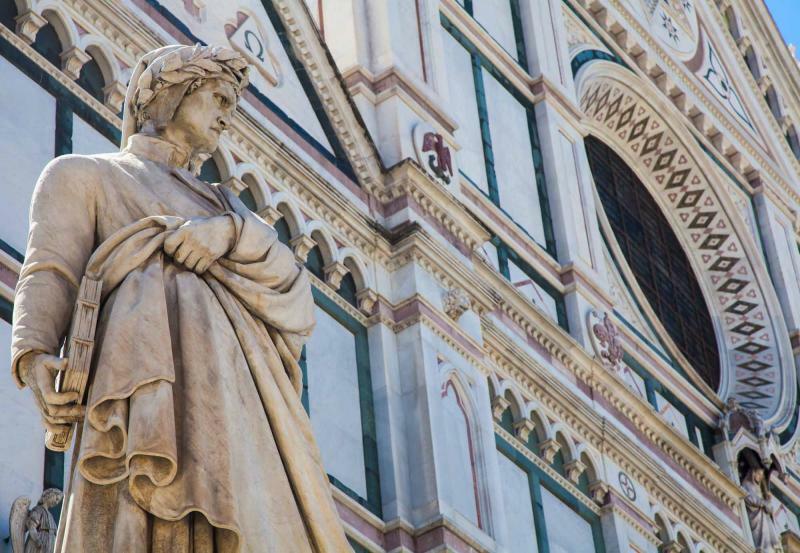 Florence is the place where the Dark Ages ended and the Renaissance began in Italy. 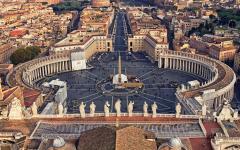 Related information: Zicasso offers a variety of Italy tours by themes and interests. 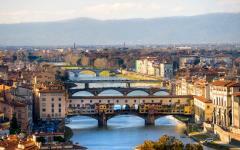 You may also want to browse Italy travel reviews from real travelers about their customized experience. Tonight for dinner you’ll have the chance to try a typical Roman trattoria in a colorful and authentic atmosphere. 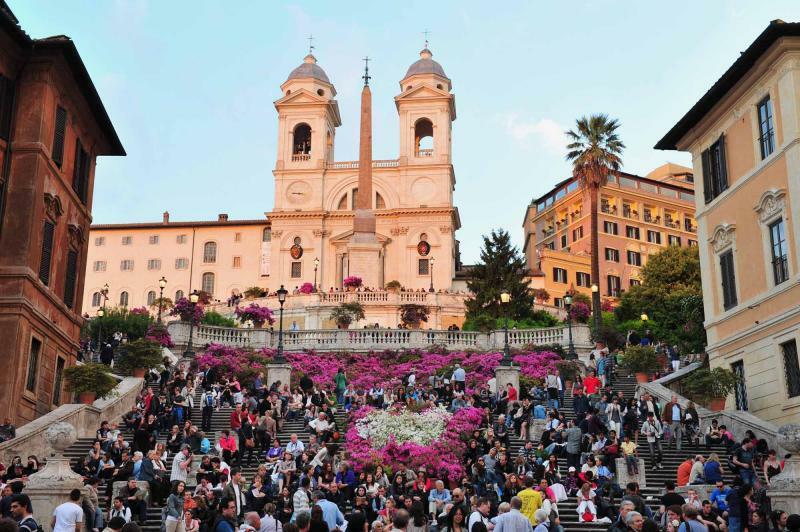 Be sure to sample some of the local specialties such as Cacio e Pepe, pasta with Pecorino cheese and fresh pepper, a traditional dish that you’ll find on the menu of practically every restaurant in Rome. A perfect example of Roman cuisine, this dish is very simple yet surprisingly delicious. 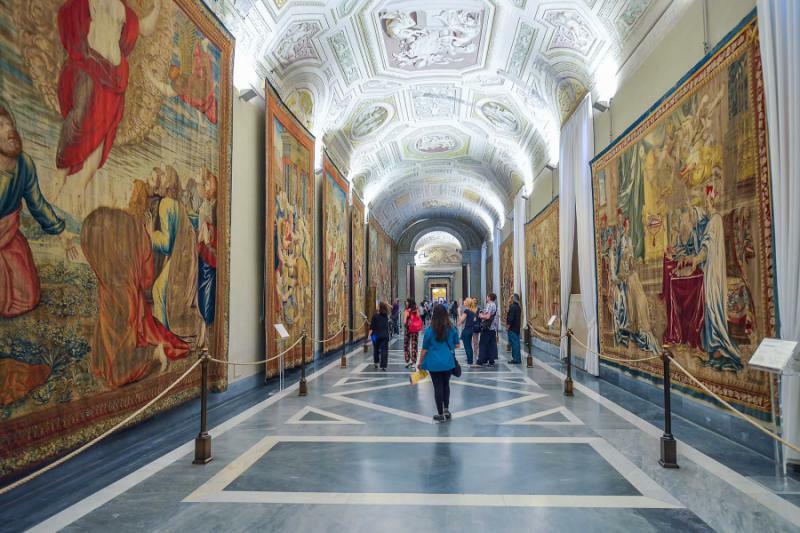 After breakfast at your hotel, you’ll take a half-day private tour of the Vatican Museum. This in-depth tour allows you to discover the art and history of this preeminent museum. 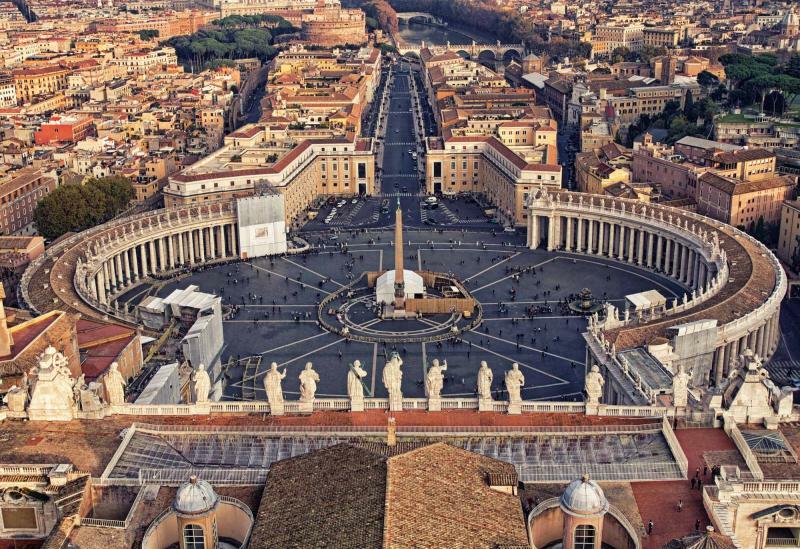 At the end of the tour, you’ll visit Saint Peter's Basilica, the most impressive church in Christendom and one of the most important Catholic pilgrimage sites. Afterwards you’ll be treated to lunch at an authentic Roman trattoria that offers typical local specialties such as Saltimbocca alla Romana (veal medallions wrapped in prosciutto) and Fettuccine al Burro (fettuccine in cream sauce). The remainder of the afternoon is yours to relax, perhaps take a siesta, or continue exploring Rome. Tonight for dinner you’ll have a special gourmet meal at one of Rome’s finest restaurants. After breakfast, you’ll set out to explore ancient Rome. 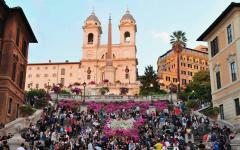 Your local guides at Biga Bike will take you on their “The Heart of Rome” tour through the Roman Forum. 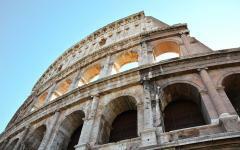 You’ll visit the grand Colosseum where gladiatorial combats were once held. Become awe-inspired at the Pantheon and admire this amazing architectural feat that is the result of Emperor Hadrian’s reconstruction in 126 AD. 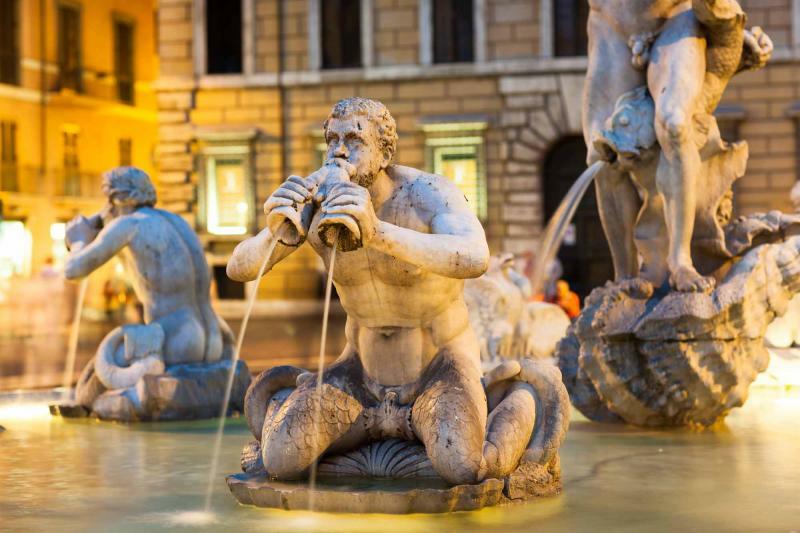 Tonight you’ll go on an unforgettable walking tour of Rome’s illuminated fountains—the centerpieces of its bustling piazzas. You’ll also have a truly special dining experience at a family-run trattoria. The owner can tell you stories of her famous patrons including film director Federico Fellini. In addition to interesting stories, you’ll enjoy a delicious and authentic Roman meal. 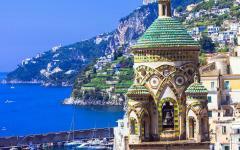 Today you’ll set off for a spectacular day on the Amalfi Coast, one of the most amazing coastlines that you’ll ever see. 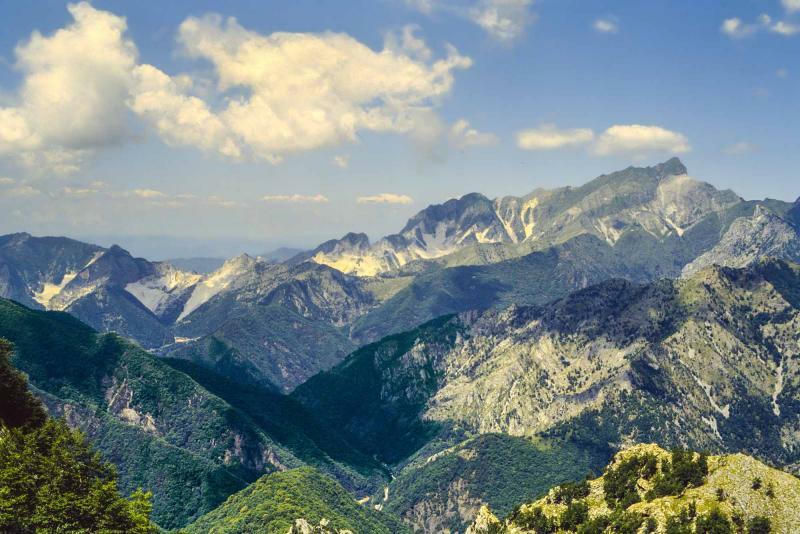 Your scenic drive takes you around breathtaking cliffs that overlook the sparkling Mediterranean Sea. The dramatic scenery is awe-inspiring. In the evening, you’ll take a boat ride to a renowned restaurant that has a romantic ambience and an incredible view of the Amalfi Coast. The restaurant specializes in local cuisine, especially fresh fish dishes. After dinner, your private boat will take you back to Positano and you’ll be accompanied to your hotel. In the morning, you’ll visit the famous archaeological site of Pompeii. Led by a knowledgeable guide, you’ll tour the city that was frozen in ancient times. It’s like a looking glass into Roman life over 2,000 years ago! Streets and buildings still stand where they stood at the time of the eruption, with recognizable household objects like mirrors, dishes and wine jugs. Enjoy some free time to wander around Pompeii, where you can easily follow the Roman street plan that is organized in a grid system. 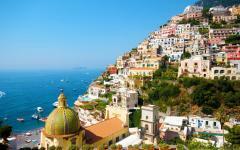 After lunch, you’ll return to Positano and the afternoon is at your leisure to explore the town. Tonight you’ll enjoy a special dinner at one of the best restaurants on the Amalfi Coast. Today you’ll participate in an unforgettable cooking course. Your private class is held in a spectacular setting—at an outdoor kitchen on a terrace in Ravello. Enjoy panoramic views of the Mediterranean Sea as you learn the art of Italian cooking! Perched high on a hillside above the Amalfi Coast, Ravello offers stunning sea views that stretch to the Isle of Capri and beyond. In your cooking class, you’ll learn how to prepare local specialties such as pasta with clams and other seafood pasta dishes. Many of the traditional regional recipes use lemon juice from the local lemon trees that flourish along the Amalfi Coast. 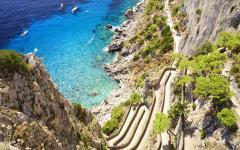 After breakfast at your hotel, you’ll set out for the stunning Island of Capri for an all-day experience. Escape to a fantasy world of sunshine, seaside views and upscale boutiques. 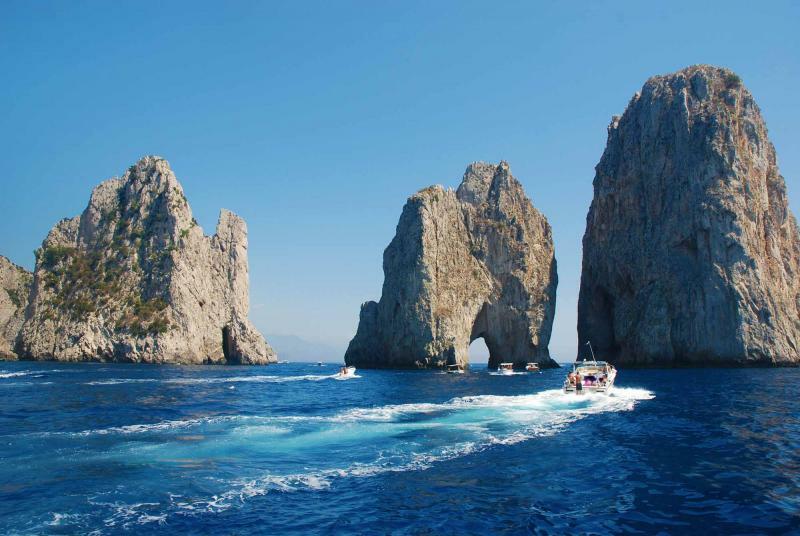 You’ll sail to the island by ferry then take a walking tour as well as a tour by a private boat known as a “gozzo,” the traditional Capri boats. During your Capri boat tour, you will circumnavigate the island and visit the caves (called “grottos”) that are characteristic of Capri. 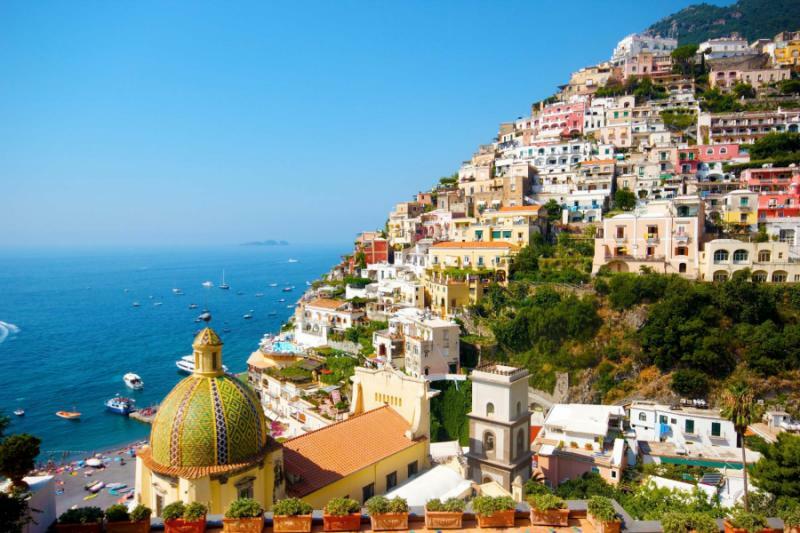 Next you’ll tour through the towns of Capri and Anacapri including a delicious lunch of local cuisine at one of the island’s fine restaurants. 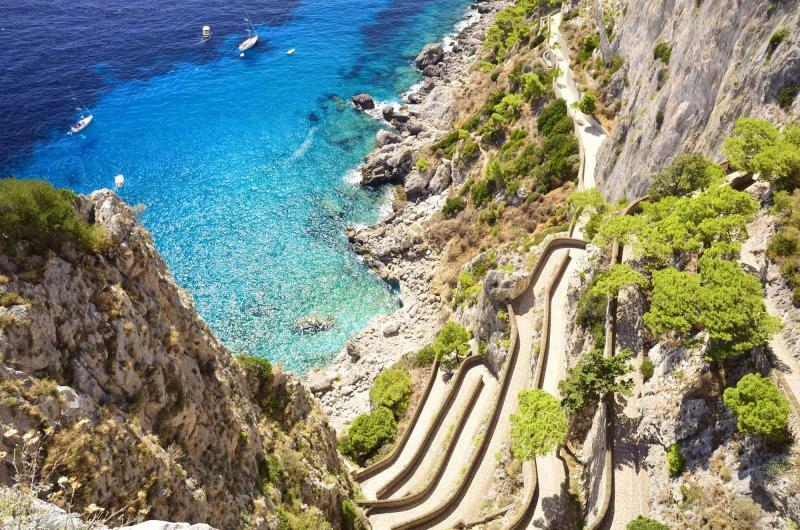 Enjoy a gentle stroll through Capri to the charming Gardens of Augustus and then on to Anacapri for a visit to the famous Villa San Michele with its alluring views. Then return by ferry in the late afternoon to Positano. You’ll be transferred to another special restaurant for dinner. 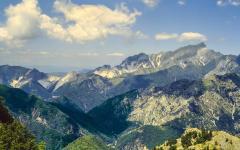 In the morning, you’ll leave the Amalfi Coast and travel to the lovely countryside of Tuscany. Arrive in the afternoon at the Tuscan villa where you’ll be staying. Set in a picture-perfect landscape of green rolling hills and small farmhouses, this charming country retreat will restore a sense of peace to your soul. The secluded setting immediately brings you in harmony with nature. 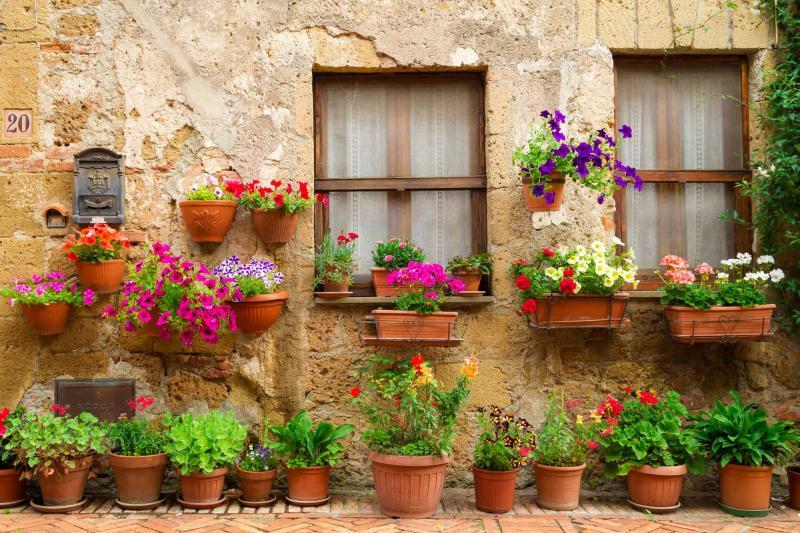 Its ancient traditions, medieval towns and the gentle rhythm or rural life characterizes the region. Here you’ll find hearty rustic cuisine and warmhearted people. Even though you’re in a rural area, there is still plenty of culture. Tuscany is home to cities like Florence, where the Italian Renaissance began and Siena, a UNESCO World Heritage Cultural Site. Tonight you’ll be welcomed to the region with a dinner featuring Tuscan specialties. 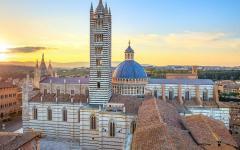 Today you will discover one of the most beautiful and important cities in Tuscany. Situated at the top of three steep hills, Siena is an ancient city that has changed very little since the medieval times. 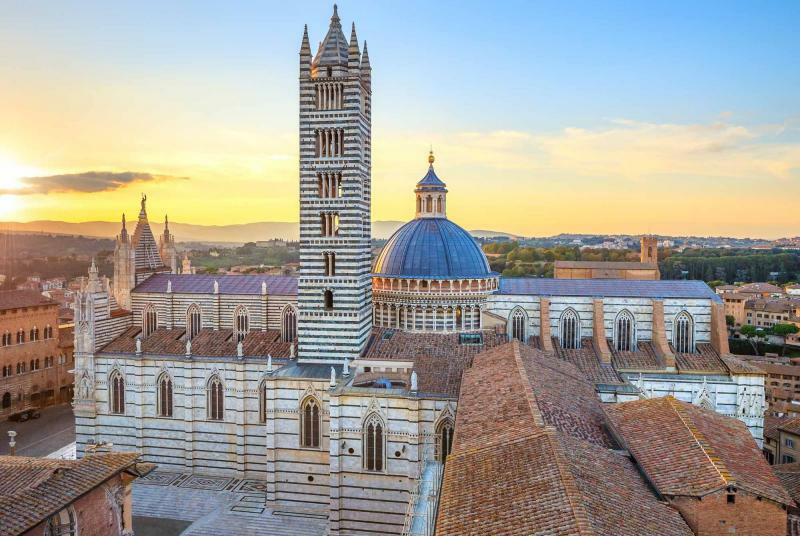 This must-see attraction of Tuscany provides a unique look into the art and culture of the Middle Ages. On your walking tour of Siena, you'll see the Piazza del Campo where the famous Palio horse race is held every year. You’ll also get to explore the quieter back streets that allow you to really feel Siena's rich history. Your walking tour includes lunch at an excellent local restaurant. After lunch you’ll participate in a cooking class to learn the art of Italian cuisine. 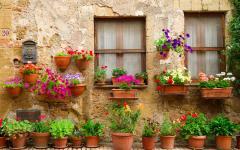 Sure to be fun and memorable, the class teaches you about the basics of Tuscan cooking. The menu includes typical hearty, satisfying dishes that are made with fresh local ingredients. For dinner, enjoy the meal that you prepared in an elegant setting. 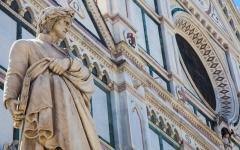 Today you’ll explore Florence, one of the gems of Tuscany and considered the “Queen” of the Renaissance. 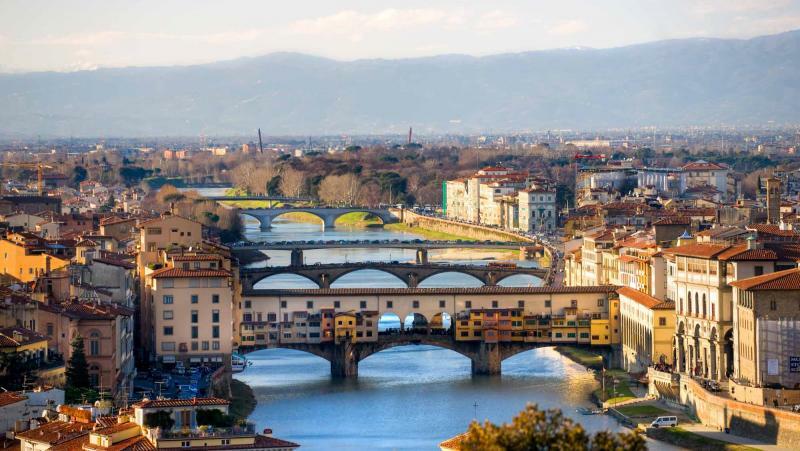 On your guided tour, you’ll visit the Uffizi Museum that is world-famous for its exceptional collection of Renaissance art, and one of the world’s finest collections of Italian paintings. The tour includes a delicious Tuscan lunch at an authentic restaurant. 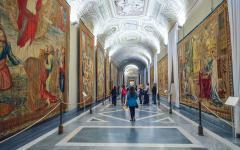 After the guided tour, you’ll have the afternoon free to explore more of the Uffizi Museum. Or you could visit the other museums of Florence such as the Accademia Gallery. Here you can see Michelangelo’s masterpiece of Renaissance sculpture, the 17-foot tall “David” statue. After your day in Florence, you’ll return to the villa in the countryside. Enjoy a full-day tour of the delightful Chianti wine region, which stands out as one of the prettiest areas of Tuscany. The Chianti region is also the most well-known wine region in Italy. Many excellent estate wineries can be found amidst the lush vineyards that spread out over gently rolling hills. Your tour includes wine tasting at one of the region’s acclaimed wineries and lunch at an Italian trattoria that offers local specialties. 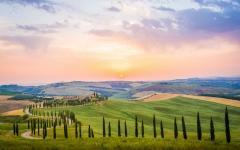 After your scenic tour and discovery of fine Chianti wines, return to your villa in Tuscany. This evening you’ll be treated to a special farewell dinner. The tour concludes after breakfast at your hotel. You’ll enjoy a private transfer from your hotel to the airport for your departure flight. Ciao, Italia! "We had an incredible experience with our travel agent and her team..."